Being God's people by; Honouring God, Building up one another and Caring for our community & beyond. 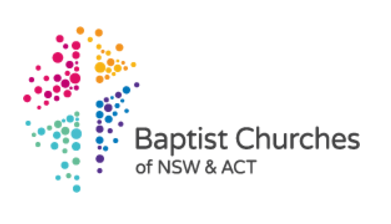 Baulkham Hills Baptist Church is a member church of the Baptist Union of NSW & ACT. A copy of the church constitution is available through the church office. PLAYTIME - Thursdays 10am –11:30am. Playtime is for kids aged 0- 6yrs and their parents/carers. J-zone - Friday evenings 5:30pm - 6:45pm. Jzone is a kids club for primary school aged children. We are a movement of more than 330 congregations committed to serving together with the vision of impacting our communities for Jesus Christ. This vision is expressed in a myriad of ways in local, state, national and international contexts. More than 50,000 people make up our family across the state and the nation's capital and you would be very welcome to share with them at one of our churches. BHBC and Cobar Baptist Church in country NSW enjoy a partnership designed to enrich and benefit both churches. Through prayer, personal contacts, finance and mutual encouragement, a meaningful fruitful relationship is growing. Recently we have been able to help Cobar to restump their church building through our 'Pier Support" program. Members were encouraged to become 'Foundation members' of Cobar Baptist Church.